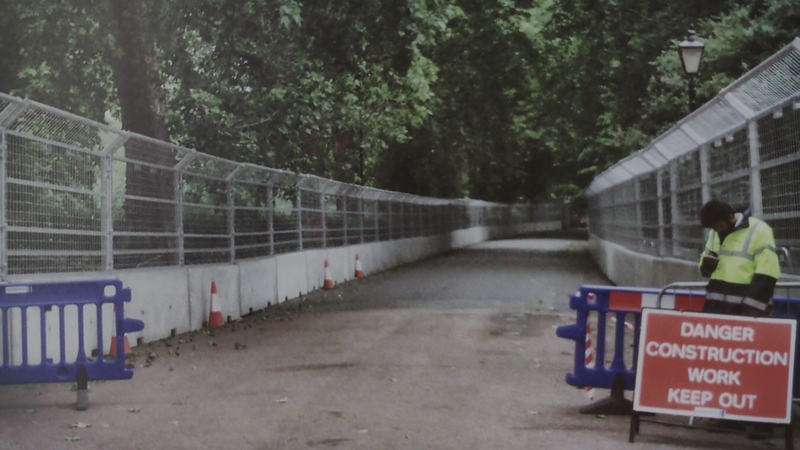 Formula E in Battersea Park: never again? Battersea Park’s new racetrack taking shape. Good for Scalextric, not so good for park users. When I found myself unable to support Formula E in Battersea Park I was perfectly content with being in a minority position. It was almost a habit in Wandsworth, something I considered a strength, both personal and policy-making. I assumed that Formula E would come, and go, and a few people would be a bit put out, but it would soon be forgotten. I certainly hadn’t anticipated the concrete and metal mess that Battersea Park has become. It’s incredibly hard not to think a line has been crossed. I was concerned about the principle of selling the park being breached. Yes, bits of the park are available for private rent, but they are small portions of the park: even when they are closed off the park can still function as a park. The council has been remarkably quiet in answering criticism. I wonder if this is because they are preparing for a change of heart but want to keep that to themselves until after the race. I hope so, but also worry they are hoping to ride out the criticism. But the mood seems to be changing. The Labour Party, having previously supported the event, have started changing their tone and throughout the debacle residents have been mobilising, organising a petition and a public meeting for shortly after the event. It has long been my concern that the council lacks a vision of what is important to Wandsworth. Perhaps this will be one of those occasions when local residents are going to make sure they know what is important to Wandsworth. WBC have ominously indicated (recent FOI) they want an option to re-compete after the five year contract expires, so I think it unlikely Formula E will ever leave Battersea Park if it survives this nightmarish first experience. The residents will then timeshare Battersea Park for 11 months a year and hand it over for a month, at the height of Summer, to a decade of car racing here. The park revenue received barely covers a single (Hay Pay Grade 2 or 3) salary of a WBC director who hides in a back office avoiding contact with residents endangered during this casual chaotic and dangerous construction phase. It is an unnatural and perverse act to squeeze technology into a historic Heritage 2* Victorian Park given the size of London and then negligent to hide in an office at a time of danger preferring to tweet idyllic park scenes as a grand act of self-denial and hubris. I read that I am represented in consultations by “The Friends of Battersea Park”, I don’t know who they are, but with friends like that, I really don’t need enemies. If this is seen as a success by Wandsworth the risk is that other events requiring full closure may well follow, so it wouldn’t just be the Formula E month of disruption. And I really am surprised by Friends of Battersea Park. I thought they’d be incredibly vocal about this.